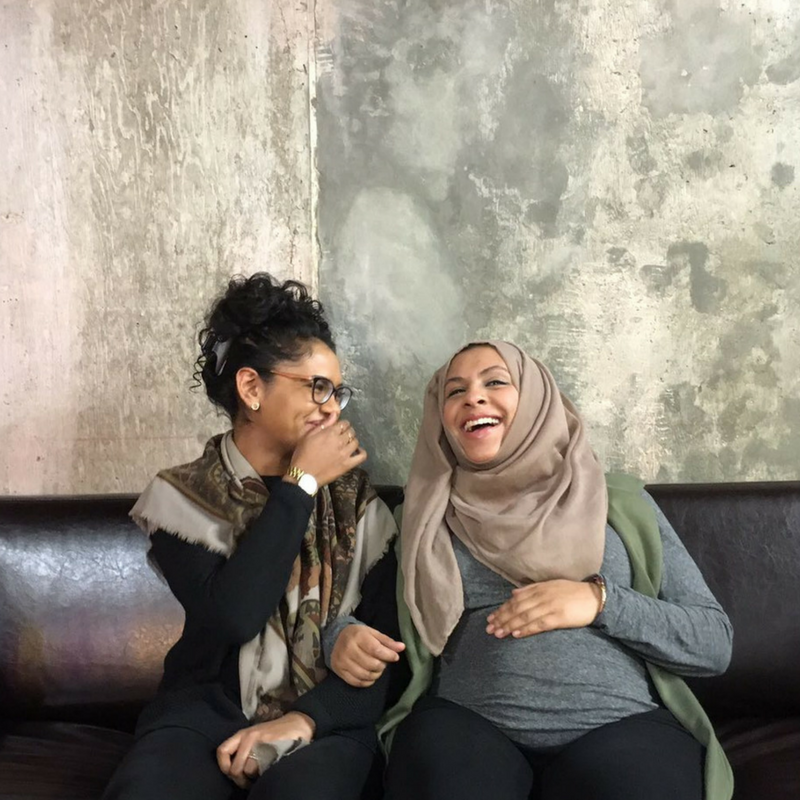 Too long; Didn’t read — It’s been over a year since we unveiled Amaliah to the world and since then we’ve watched our community challenge the narrative surrounding Muslim women. Today, we launched a new Amaliah, we would like to say Salam again and invite you to tell your story or share your thoughts; to reclaim the voices of Muslim women. Our voices, on our terms. For those that have been following Amaliah for a while, you may have noticed that things look a little different around here. For those that have just found us, see this as an About Us — the long version. When we started Amaliah, we started with the desire to create impact in the community that we are from — the Muslim community. As sisters, over time the years, we both grew to become a lot more in touch with Islam. Facing very different obstacles and challenges, we both realised that Islam gave us purpose and meaning to everything we did; it allowed us to believe in the unbelievable. Islam remains our guiding light for all matters, personal and professional. Amaliah’s journey began at our Mum’s kitchen table. We didn’t really know where *it* was going or what *it* would become. We launched in January 2016 — a ridiculously simple site, built by Nafisa after learning to code, with the aim of helping Muslim women find modest fashion easier. To be completely honest, we ‘ummed’ and ‘erred’ at the thought of starting a fashion company. Nafisa as a science graduate and Selina a mother of one with a second baby on the way, we were hardly the ideal candidates in the startup world. The more we thought about it, the more we realised that Amaliah wasn’t about selling clothes. In fact, neither of us actually loved fashion. Amaliah was about helping us reclaim our identities through representation, it was about seeing diverse Muslim women as well as hearing from them and stamping a key message: it’s OKAY to be a Muslim woman. We were also totally anti putting ourselves out there. True story — when we started Amaliah we would use different names in emails. We didn’t want anyone to know who we were, especially because we didn’t know how Amaliah would be received. We didn’t want to misspeak for a group of women already misspoken for; Amaliah wasn’t about us, It was about our collective experiences as Muslim women. We spoke for many but not all. It was also the fear of defending our ideals, beliefs and aspirations. Fear that we would be laughed at and rejected by Muslims as not Muslim enough. Selina may look like she is caring for her bump but actually she had a stain on her top. The moment involved David Cameron 🌚. 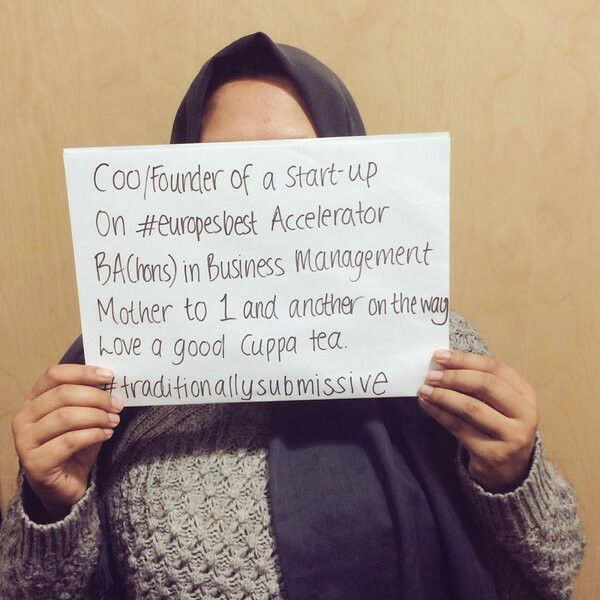 Twitter went crazy and Muslim women responded with #traditionallySubmissive. A hashtag to celebrate the many achievements of Muslim women. We found ourselves in a dilemma, we were itching to speak out. We had to speak out. We NEEDED to speak out. But as a fashion company, it didn’t quite ‘fit.’ This forced us to question what Amaliah was and what it would become. As our coverage from mainstream media outlets like the Guardian and the Metro increased, we felt we had a responsibility to use our exposure to speak out on the issues that affected our community. 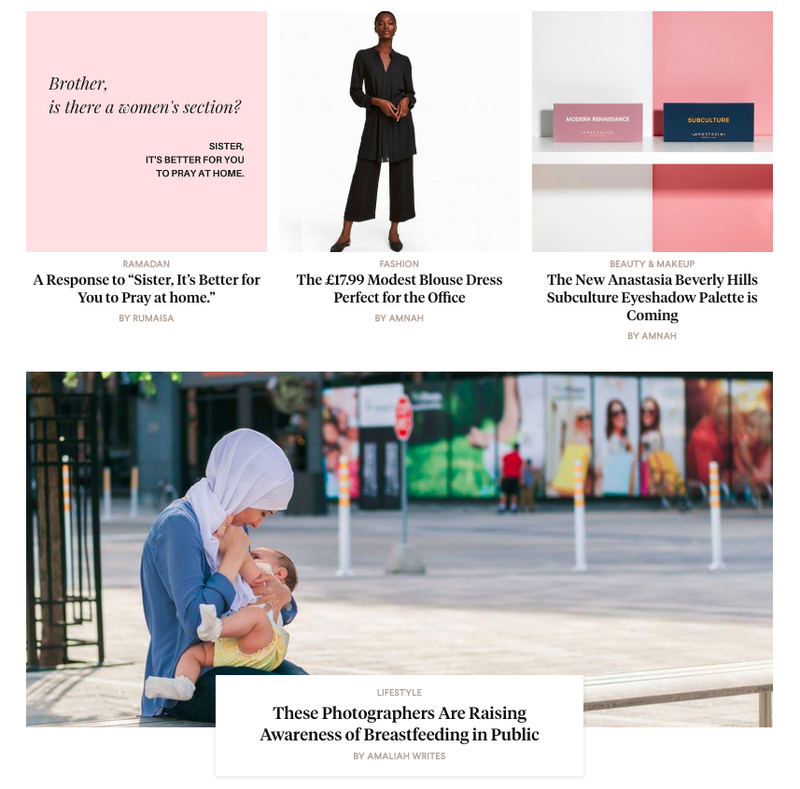 With a roster of just under 100 writers, we didn’t feel like we were doing justice to the stories Muslim women were choosing to share on our platform by allowing them to just exist on the blog of the fashion site. We wanted to frame the pieces like art and give them the platform they deserve - we deserve. So the new Amaliah was born. Dedicated to representing Muslim women. Led by a passion to empower individuals through their identity, our work seeks to surface the many different voices and experiences within our community. So often the Muslim voices we hear in the mainstream are politicised voices. We as a Muslim community always feel the need to firefight and that becomes our narrative. We are passionate about Muslim women being able to share aspects of their lives with the rest of the world. Stories of survival, hope and celebration. A story that helps someone else find comfort and say ‘Me too’. We want to be able to be part of the wave that will help to nurture the next generation of writers, creatives, journalists and storytellers. Oh and you can still shop fabulous items over at shop.amaliah.com. When a young Muslim leaves school, we want them to know that there is a place out there that will allow them to simply exist as they wish. With our newly launched verticals of: identity, fashion, lifestyle, soul, world, beauty and relationships; we hope we’ve created just that. But Amaliah is not just for the Muslim community. Our hope is that individuals from all walks of life are able to turn to Amaliah to hear the voices that are so often misunderstood or misspoken for. This journey hasn’t been easy. We’ve kept pushing forward and will continue to do so. Thanks to our parents, family and friends, our community, our team, interns, writers, Aishah and Eesa for being patient with their Mum and the people that continue to cheerlead us on. After 3 months of hard work and self-doubt, we are incredibly proud to re-launch Amaliah. We are hopeful for the future, hopeful that collectively, we will reclaim our narrative.